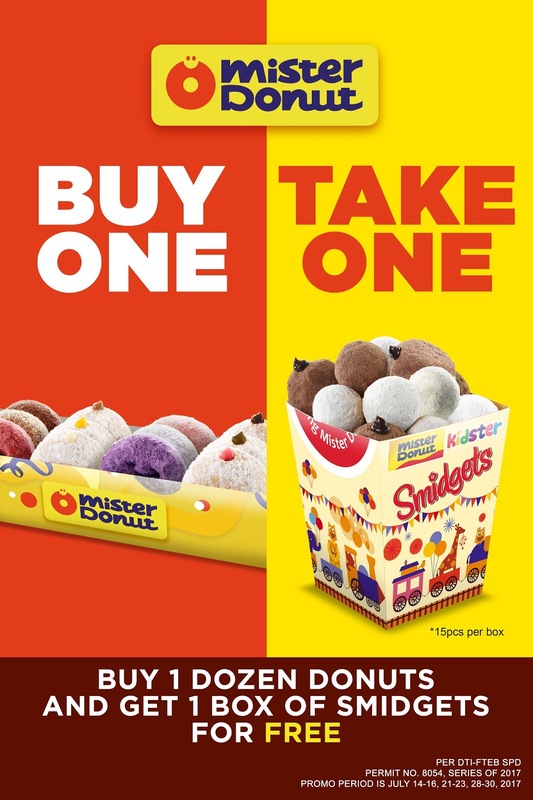 Starting tomorrow, July 14, Mister Donut is giving away 1 box of Smidgets for FREE whenever you buy a dozen of regular donuts. The Smidget box includes 15 pieces of assorted Bavarian and Choco butternut. In case you crave for a practical comfort food this Game of Thrones season (or if you want to get free treats for your kid’s birthday), head straight to any Mister Donut shop near you. Promo runs for the whole month of July. So, if you want to get your hands on this awesome treat, visit Mister Donut shop every weekend. You know what they say, nothing is better than doughnuts than free doughnuts!